A Cooking Bookworm: Tips to keep your family Cold and Flu- Free! that you can do to help cut down your family’s risk of becoming ill. 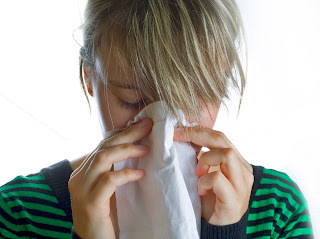 Here are some tips for helping to keep your family cold and flu free! I purposely wrote that in caps!! Don’t underestimate the value of good ol’ soap and water! Again, it’s very difficult with little children, but whenever our family has been out and about – whether the grocery store, church, or McD’s – our kids are immediately told to head straight to the bathroom upon arriving back home. A good scrubbing can kill those nasty germs before they attack! Eating the right kinds of foods can do more for your immune system than you realize! Strengthen your body before the bad stuff hits with yogurt, orange juice, and other beneficial foods! Coconut oil is super against germs! This product is invaluable when trying to disinfect surfaces that are constantly used…and often forgotten about, such as doorknobs, the toilet handle, piano keys, tv remotes, etc! Especially during the bucket-sickness chaos, my Lysol spray makes me feel like I’m doing something to help. Any mom out there knows how that kind of sickness takes ALL of your time and energy, and you never have time to deep clean between each unfortunate episode…especially in the middle of the night. I don’t use this all that often, but I have bottles in several important places for when a sink and running water is not available: my purse, the car, and under the bathroom sink (when the power goes out)! This may not seem to have anything to do with colds and flu, but when your house is a mess, it’s hard to effectively clean. Surfaces are hidden with stuff…which are hiding germs and who knows what else! Get your kids to help with some fall cleaning and get the house in order before flu season arrives! BONUS #6: WASH YOUR HANDS! Did I say that already?!! Seriously, the best thing you can do to prevent illness in your family is to hound everyone to keep their hands clean – and away from their eyes and nose! Make a game of hand washing! Have each child scrub for as long as it takes them to sing ‘Happy Birthday’ two times through, or ‘Jingle Bells,’ so that the soap can do its job! Those are some of the ways I try to keep my family healthy during cold and flu season. How about you?